Whether you're a lifelong bachelor or you're finally wading back into the Texan dating pool, you won't meet anyone unless you make an effort to mingle with other singles. Fortunately, dating as a senior is easier than ever. Texas is a big state, full of places, events, and activities that attract active singles like yourself, and the Internet makes it easy to stay in the loop. Shed your Lone Star status and start socializing with other mature Texans now. 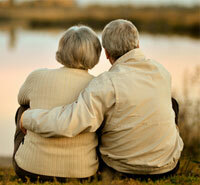 Take a look at our top 7 places and events to meet single seniors in Texas. Galveston and Houston are port cities for major cruise lines, so take advantage of an off-season cruise to set sail with hundreds of fellow singles. There's no cheaper way to visit a handful of countries in a single week, especially if you use AARP member discounts and travel during the off-season, and you'll find plenty of potential friends at the casino, pool, spa, piano bar, and art gallery. From 3-night Mexican getaways to 10-night Caribbean excursions, there's a cruise for every budget, and world-class entertainment and dining are always included. 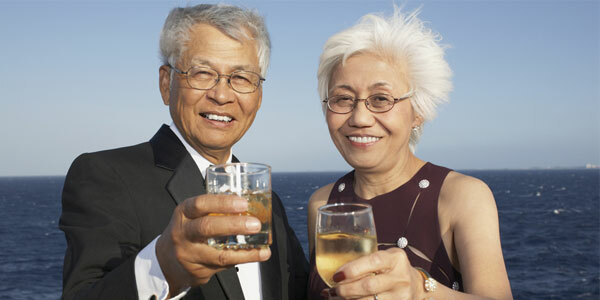 Deck parties, scavenger hunts, bingo, trivia contests, exercise classes, art auctions, and other planned activities encourage senior cruises to interact with each other at sea. Line dancing is a Texan tradition, and the state still has plenty of giant dance halls and honky tonks that attract older crowds. If you want to brush up on your moves first, some Texas rec centers and senior centers offer free line dancing classes for singles 55 and older. You can also take advantage of free lessons offered by popular dance halls before nightfall. For example, there are free two-step and line dance every Wednesday at The Stagecoach Ballroom, a Fort Worth institution that hosts big-name country acts on weekends. Don't forget to search match.com for country fans who like to dance. 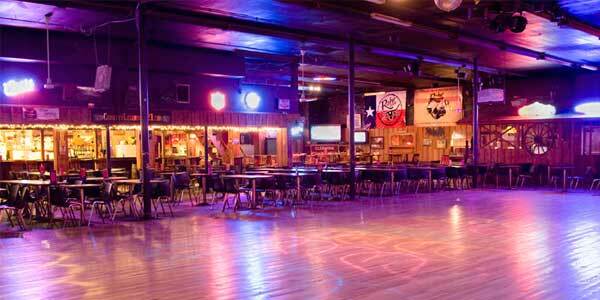 Lessons are a great icebreaker, and line dancing events make laid back date nights. Senior speed dating got the Hollywood treatment in The Age of Love an award-winning 2014 documentary about speed-dating singles between 70 and 90. Thanks in part to the awareness sparked by the film, Texas is full of opportunities for speed dating Texas seniors. 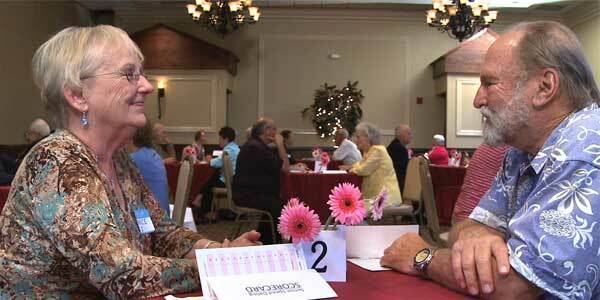 Senior speed dating and "speed friending" events are popping up in Austin, Dallas, and Houston, among other places. Most speed dating events have age specifications, so if you can't find an event specifically for seniors, check the suggested age groups. Lost your youthful flexibility? Don't worry. Yoga is a fun way to meet active and spiritual seniors, and it also helps you tone, stretch, and restore flexibility. Gentle yoga is a low-impact class available at many senior centers and YMCAs throughout Texas. Chair yoga, another popular option for seniors, brings a chair into the yoga poses for extra stability and balance. Yoga has so many physical and psychological benefits that you might even make it a regular habit! EliteSingles is a great place to meet open-minded Texas seniors who appreciate the yoga lifestyle, too. If you want to meet other active Texans but don't have the strength or desire to join an athletic club, the State of Texas has your back. 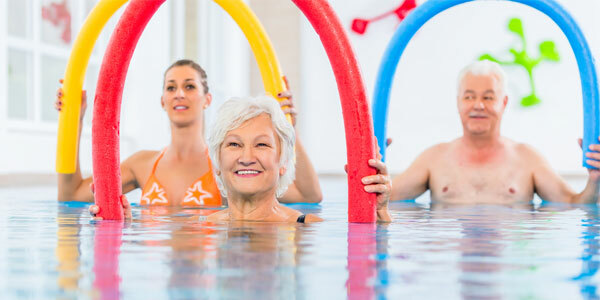 TeXercise is a government program that promotes physical activity for aging and disabled Texans, and it has brought pool-based classes such as Aquafit and Aquarobics to gyms, universities, and community centers throughout the state. The University of Texas at Austin hosts up to a dozen TeXercise classes every day, including low-impact pool exercise classes. Sometimes the best way to meet someone is to help someone. Join the Texas Senior Corps, a statewide volunteer organization, for opportunities to mentor a child, tend a community garden, help an older adult with everyday tasks, and dozens of other volunteering options for senior citizens. The Retired Senior Volunteer Program [RSVP] is one part of the Corps, and it's open to Dallas and Collin County residents over 55. 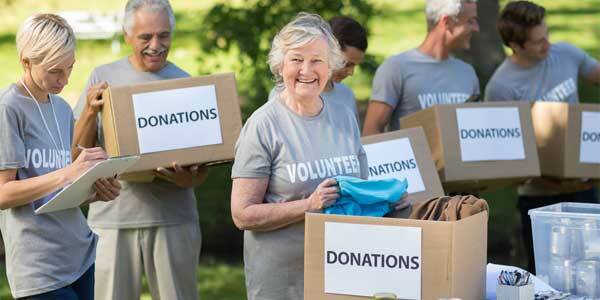 Of course, you can always volunteer for local events and organizations in your community. For example, you're sure to meet other singles with free time when you sign up for Election Day duties. Why should 20somethings get to have all the craft beer fun? Drinking in moderation actually has health benefits that senior citizens need, and you and your peers have more time and experience to cultivate your microbrew palate. Dark beer has more antioxidants to reverse cellular damage, pale ales have more silicon to improve bone health, and microbrews have more hops that inhibit cancer-triggering enzymes. Attend the Texas Craft Brewers Festival in Austin or the BrewMasters Craft Beer Festival on Galveston Island to meet other single Texans who appreciate craft beer. Don't give up if you try a few of these places and still can't find a date. After all, you always have the option of online dating Texas seniors, and there are even websites that cater specifically to singles 55 and older. Join OurTime for free to start fishing for fellow single seniors in Texas.